This was published in the Fall 2015 issue of Anglicans for Renewal, the Anglican Renewal Ministries magazine. I'm an Anglican by marriage. Actually, we all are if you go back far enough. So I didn't grow up with the Prayer Book. I was pretty suspicious of it and the idea of praying out of books when I first encountered it. But I really wanted to be in the company and good graces of a certain intriguing and very attractive young woman who happened to be Anglican and attended Evensong at St Paul's Anglican Cathedral in Dunedin, New Zealand. It was in her company that my experience of praying out of a book began. She was a very comely incentive. God is good. Some years later when I came to a faith of my own, it was when I made television programs for a living. Most of the program's I made required a script. I directed the actors, performers, crew, images and sound to tell the script's story. One day I realized that the Prayer Book was like one of those scripts. We worshippers take the words of the page, into our hearts and offer them in worship to the God and Father of our Lord Jesus Christ through the power of the Holy Spirit. And The Story continues as it is told over and over again. I became Anglican just after The Book of Alternative Services came on the scene. I have to confess that I enjoyed the contemporary language. It seemed more open to me. I still enjoy it. But those early years of praying the office, exploring The Prayers and Thanksgivings, Family Prayer, Compline and the rest followed by fifteen years of Book of Common Prayer Holy Communion on Sundays at 830 gave me some roots and prayers for real life. Last June I experienced the joy of being present when my granddaughter was confirmed at St Mary’s in Regina. As he laid his hands on each confirmand, Bishop Hardwick used the second prayer For Confirmation in The Book of Alternative Services: “Defend, O Lord, your servant Emily with your heavenly grace, that she may continue yours for ever, and daily increase in your Holy Spirit more and more, until she comes to your everlasting kingdom. Amen. (p628) This is also the confirmation prayer from The Book of Common Prayer (p560) in contemporary English. Now is that a wild-eyed, knock-down charismatic prayer, or what? “Daily increase in your Holy Spirit more and more”? It was done very decently and in order, but those were the words prayed out loud, over my granddaughter (and everyone else who is confirmed in the Anglican Church of Canada) to the living God and Father of our Lord Jesus Christ in the power of the Holy Spirit. Think about it. It’s a wonder we weren’t all thrown to the floor in a tangle of Anglican knees and kneelers. But we weren’t—at least not outwardly. I wonder why? Have we just given up on expecting God to act in such ways? Are we hoping for it, but God is saying, “Not now”? I don’t know. Don’t get me wrong. I’m not suggesting that confirmation should only be valid when everyone is slain in the Spirit (although I’d love to see it one day). But what if you and I were to pay closer attention to the way the Holy Spirit of truth is woven through our prayer book prayers and liturgies bearing witness about Jesus (John 15.26) and what if we watch for them and pray into them? Might the Lord be waiting to release something new? In that hope, Lord willing, I’m going to explore the references to the Holy Ghost/Spirit in our books to see where they lead. 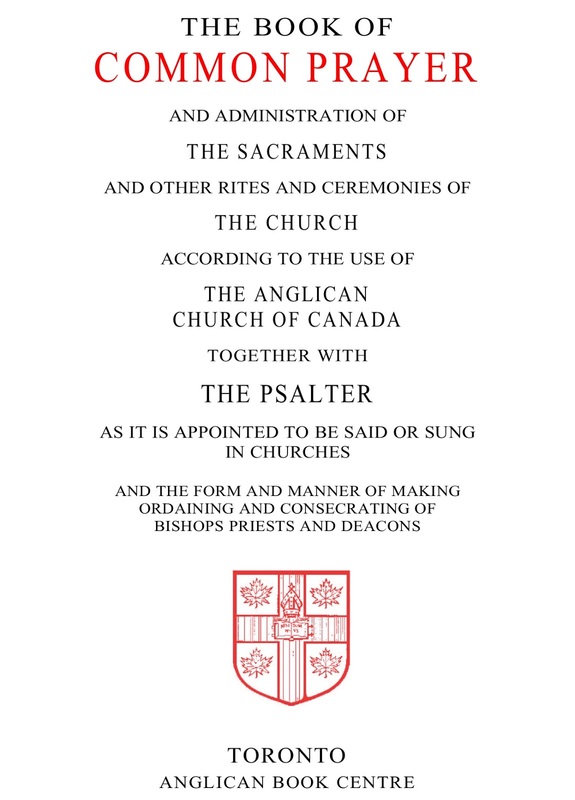 And what better place to start than with the SOLEMN DECLARATION 1893 (The Book of Common Prayer, p. viii), a foundational document for the Anglican Church of Canada. “In the Name of the Father, and of the Son, and of the Holy Ghost. Amen,” are the first words; an foundational invocation of the Holy Trinity. We begin with profound mystery. Such is the Holy Spirit. Such is the Father and the Son. We worship one God in three Persons. Indivisible. So when we focus on one Person, we do not deny or diminish the others. To be filled with the Holy Ghost is to be filled with all the fullness of God. And that is about as far as I dare go with that except to say that it is the best way to begin this expression of the Anglican church. The next reference is in the third paragraph; a declaration that this church will “worship One God and Father through the same Lord Jesus Christ, by the same Holy and Divine Spirit who is given to them that believe to guide them into all truth.” Believe, and I am given that Holy and Divine Spirit to guide me into all truth. What is truth? God’s word is (John 17.17) and I am (John 14.6) says Jesus and truth is in Jesus, writes Paul (Eph 4.21). Not only that, but the Holy and Divine Spirit is the Spirit of that truth (John 14.17 & 15.26) and that pretty well wraps it up. 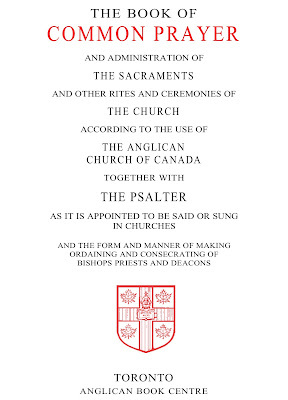 So the foundational document of the Anglican Church of Canada (after the Scriptures and the prayer book) affirms and attests that it is important to have been given the Holy and Divine Spirit because he will guide us into Jesus. Thus begins our trustworthy script for Anglican worship; a script which is essentially the Scriptures set to prayer. As we learn our lines in worship and prayer may we make them our own while daily increasing in the Holy Spirit more and more until times of refreshing, renewal and revival come. Amen and amen.